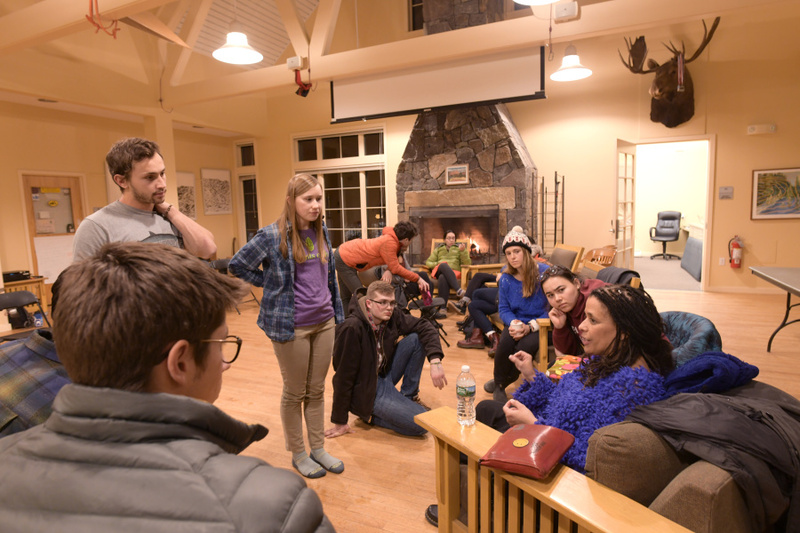 Every spring and winter break, dozens of Bowdoin students choose to take part in an intensive public service experience through the McKeen Center’s Alternative Break program. 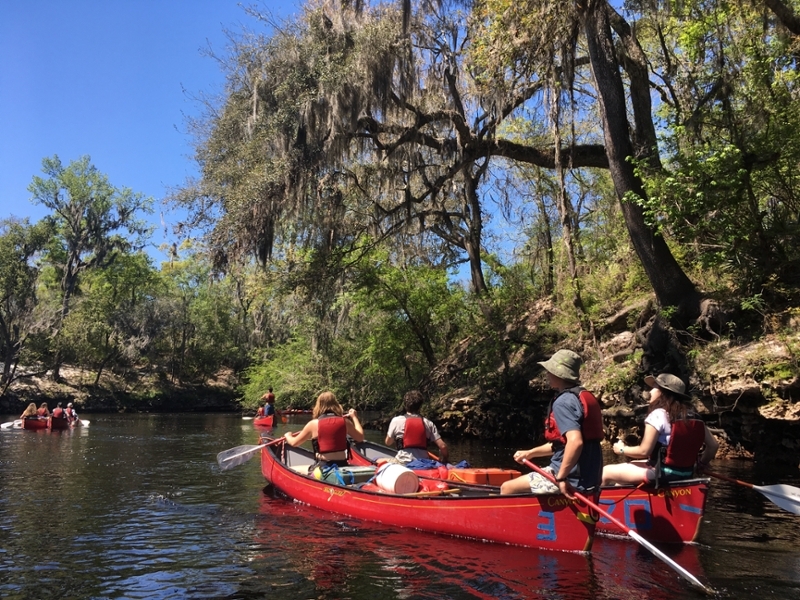 Over the past couple of weeks, students have been on seven trips—from Guatemala to California, from Florida to Puerto Rico and elsewhere—on various Alternative Spring Breaks. One group, however, decided to stay put, opting to help some vulnerable populations right here in Brunswick. Poverty and Homelessness in our Community was the name of the trip, led by sophomores Sophie Lewis and Aine Lawlor. “It’s really easy to be isolated at Bowdoin and not interact with the greater Brunswick and Portland communities, and we think it’s important that we give back to the community where Bowdoin is located,” said Lawlor, a government and legal studies major who plans to attend law school. 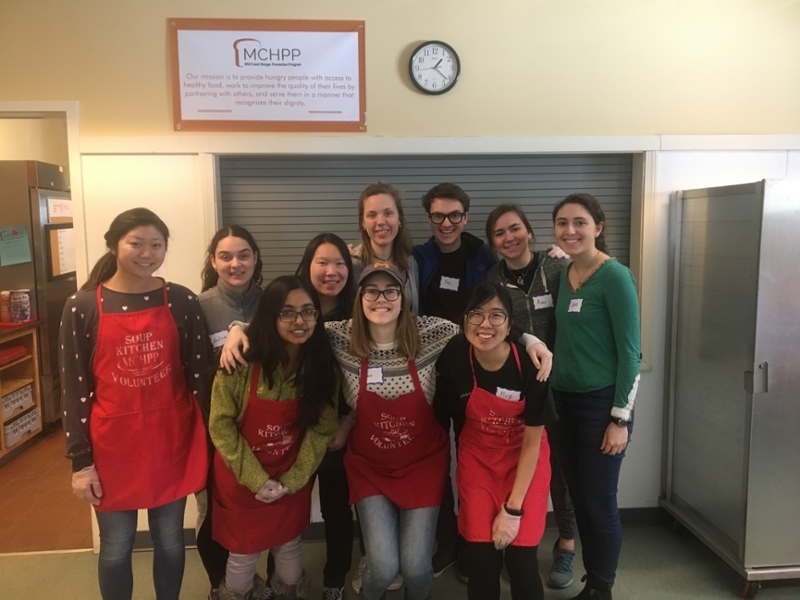 Lawlor and Lewis, along with eight other students, gathered in the dining room of the Mid Coast Hunger Prevention Program (MCHPP), a nonprofit located just yards from the Brunswick campus, offering healthy food to those in need. They were about to get to work cleaning the kitchen after a busy lunchtime. “This is a great way to serve,” said Lewis, “and to expose more students to the needs of some local residents." The visit to MCHPP was just one part of the trip, which collaborated with a variety of service groups in the area. Before arriving here midweek, they had visited homeless shelters in both the Brunswick and Portland communities. 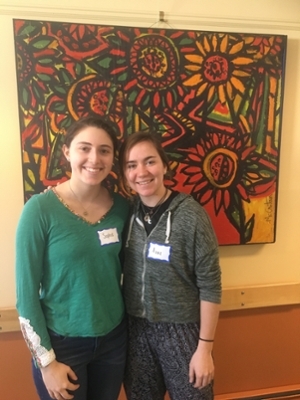 For example, they began the week serving in the soup kitchen at Preble Street Resource Center, a day shelter in Maine’s largest city; the students also worked with those providing legal help and public health assistance to those affected by poverty. The group also spent time with the Portland Public Health Division, including a spell with child health nurses. During their free time, students have been sharing reflections and having conversations about what they are learning. Top Row: Michelle Luan ’22, Andria Polo Brizuela ’22, Olivia Blair ’21, Kim Hancock ’21, Dan Ralston ’21, Aine Lawlor ’21, Sophie Lewis ’21. Bottom row: Jigyasa Subedi ’22, Lucy Nolden ’22, Ploy Wattanawanichkul ’21. Both Lewis and Lawlor said they’re passionate about drawing attention to various aspects of poverty and homelessness. “That’s why our trip takes in so many different groups in one week,” explained Lawlor. “We want people to get an idea of the legal implications of living in poverty, as well as the health and other implications.” Such a holistic approach, they said, is crucial for fully understanding the work it takes to help people out of homelessness and poverty. The members of Phi Beta Kappa, Alpha of Maine, have nominated twelve seniors for membership. They join the thirteen who were nominated back in the fall.